Anya joined me after lunch to describe the investigation that she set up to collect data on rainfall. 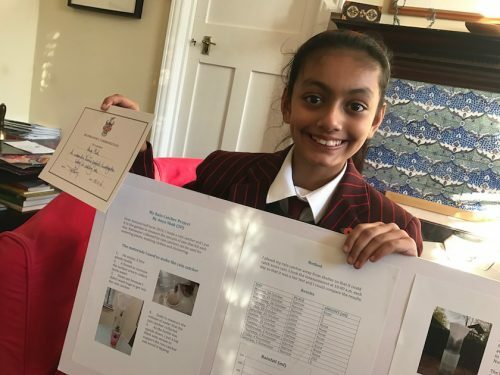 She built a rain catcher and then charted the data against the local information. I loved her notes ‘I wish that it had rained more…’ along with good analysis over October and November. A great project with scientific methods and conclusions. Well done Anya! Following our Anti-Bullying week, Jaiden wrote a stunning poem, entitled ‘Why do you?’, that he confidently shared in assembly this morning. The most powerful line for me was…’Why do you push me down, not up?’ Can you imagine a world in which we all bring out the best in those around us…that would indeed be a wonderful world. 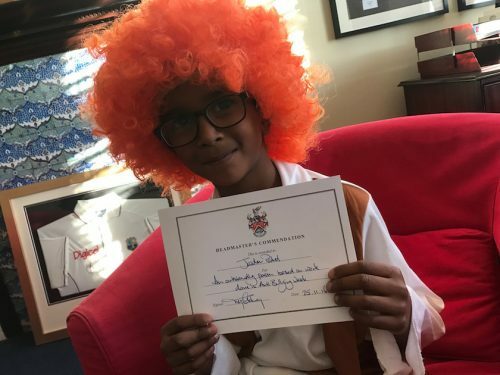 I ought to add that Jaiden came to my office prepared for his part in the Middle School play, hence the very ‘groovy’ costume…thank you Jaiden! 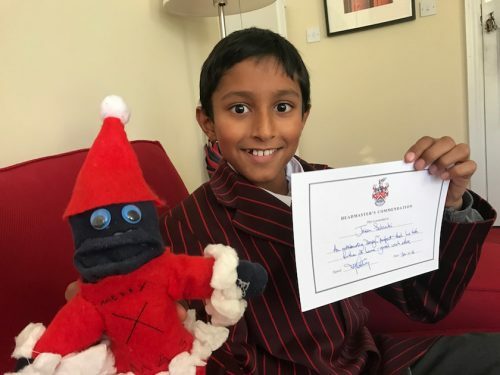 Jaian literally took his DT project home with him as he timed to create his sock character…this involves taking your favourite pair of socks and creatively stitching and sewing to bring a character to life – a great project and wonderful end result. Well done Jaian. And finally, Miss Cross challenged her Yr 6 English set to ‘Strive for Five’! What a great and open ended prep that leaves the input and output to the pupil. 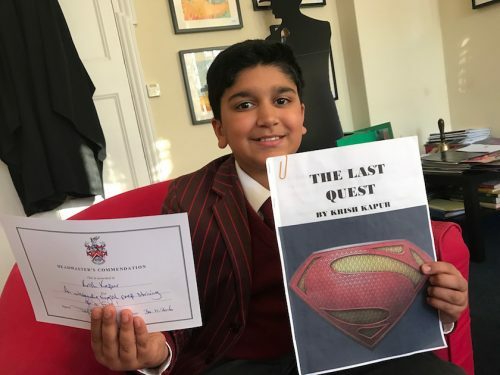 Krish took this to a whole new level as he wrote and published a superhero story…Hollywood, watch out a screenwriter might be emerging…! What links all of these individuals is their recent inspiration and desire to take a project or piece of work further at home…homework ought to be inspiring!